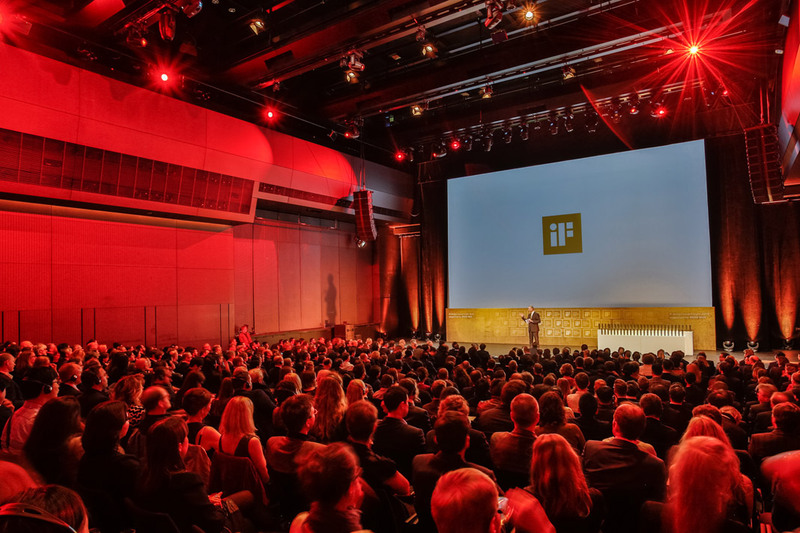 The iF Design Award Night 2016 in Munich was a memorable and great experience. 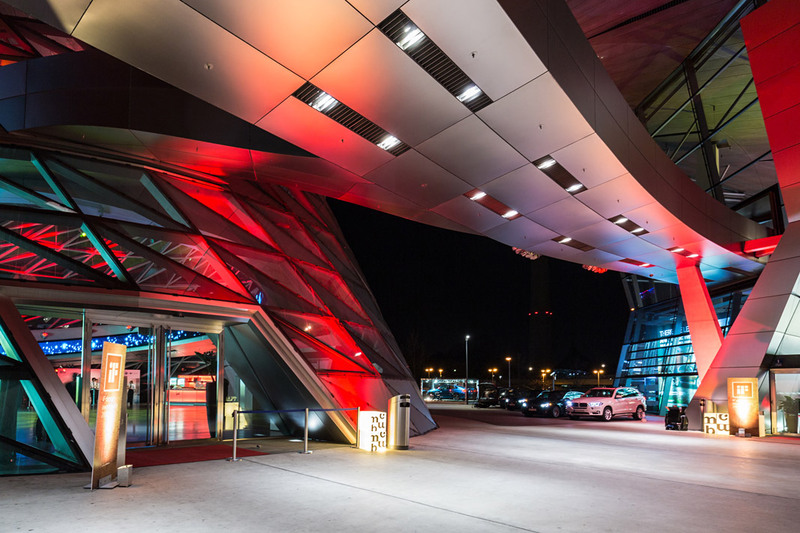 The impressive BMW Welt was the appropriate and dignified location for the handing over of the iF Design Awards on the 26th of February 2016 in the presence of some 2,000 guests. Unbelievable, but true: Sindelar strikes again and again. 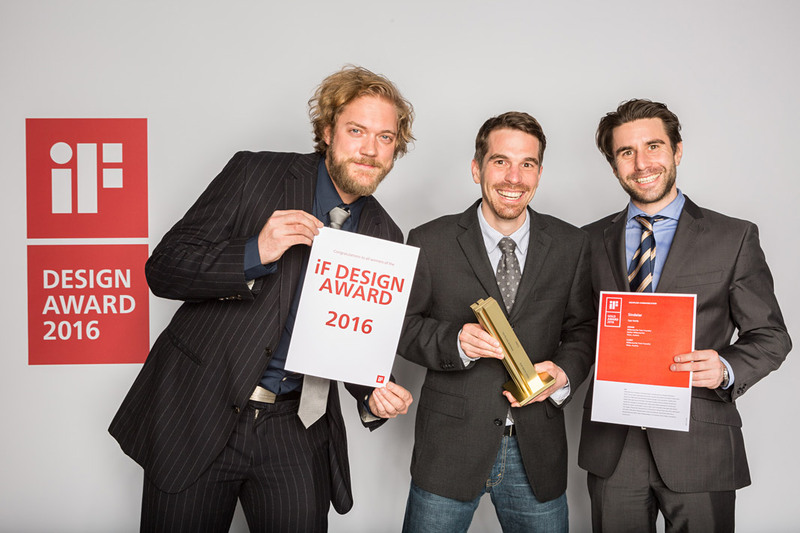 We were honoured by winning the prestigious iF Design Award in Gold for Sindelar, the highly legible text face for news and media design. 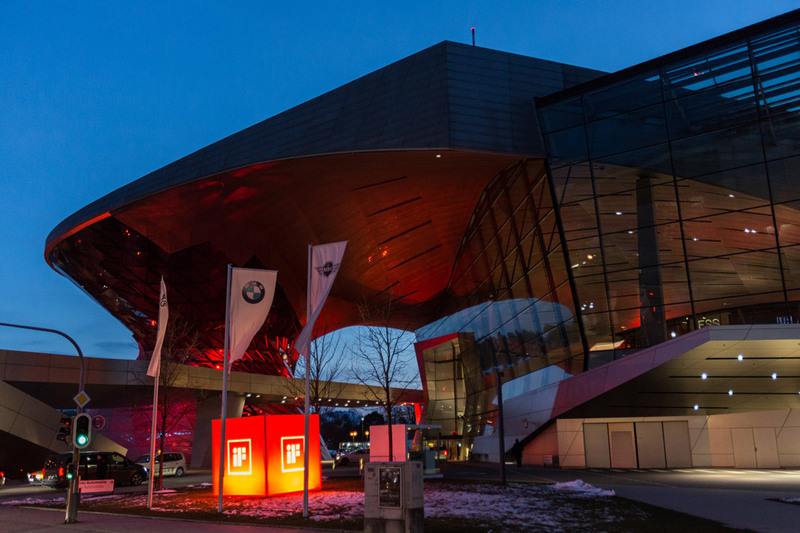 The BMW Welt in Munich was the impressive venue of the iF Design Award Night 2016. 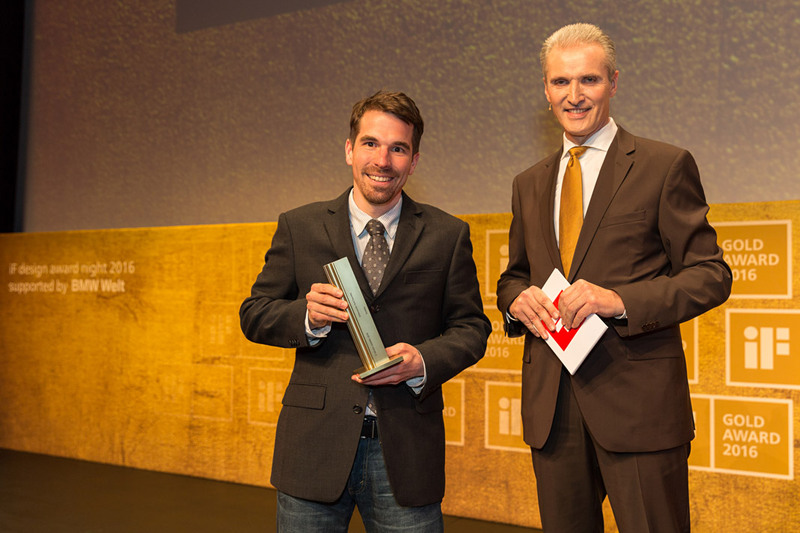 Stefan Willerstorfer receives the iF Design Award in Gold from managing director Ralph Wiegmann. 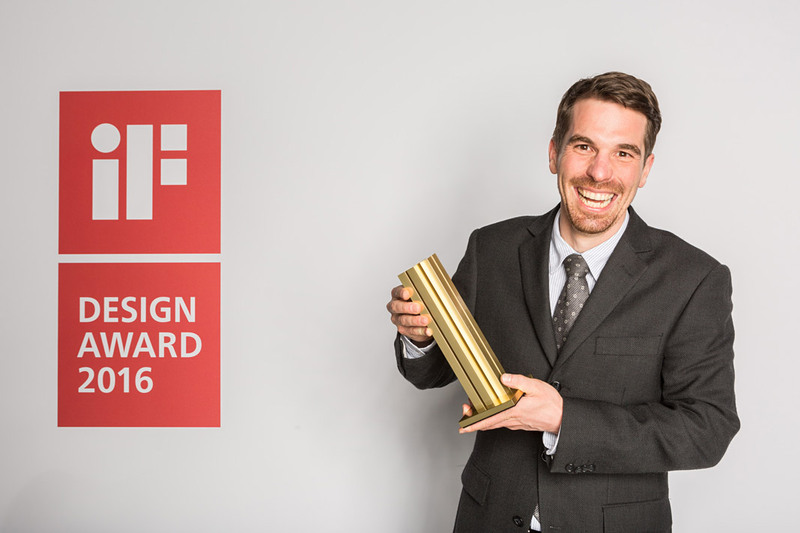 Stefan Willerstorfer proudly presents the coveted iF Design Award in Gold. 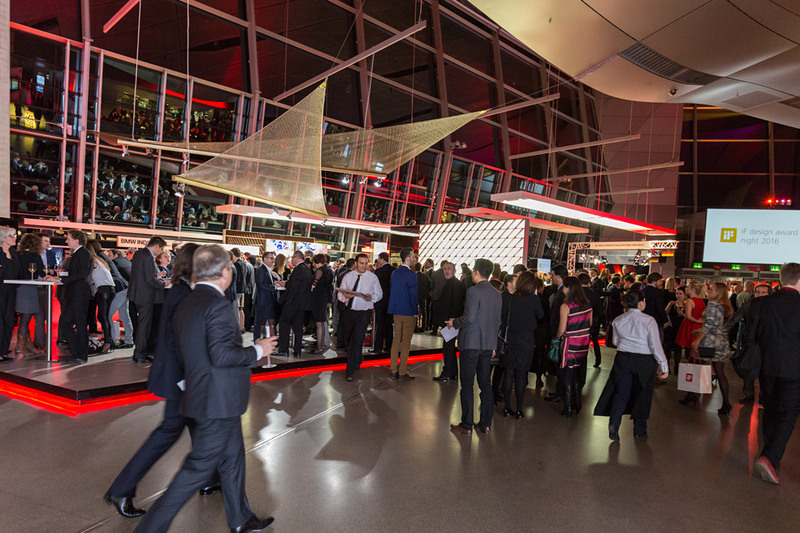 Stefan Willerstorfer celebrates his award with supporting friends. As you can imagine the mood in our studio is really euphoric and cheerful. 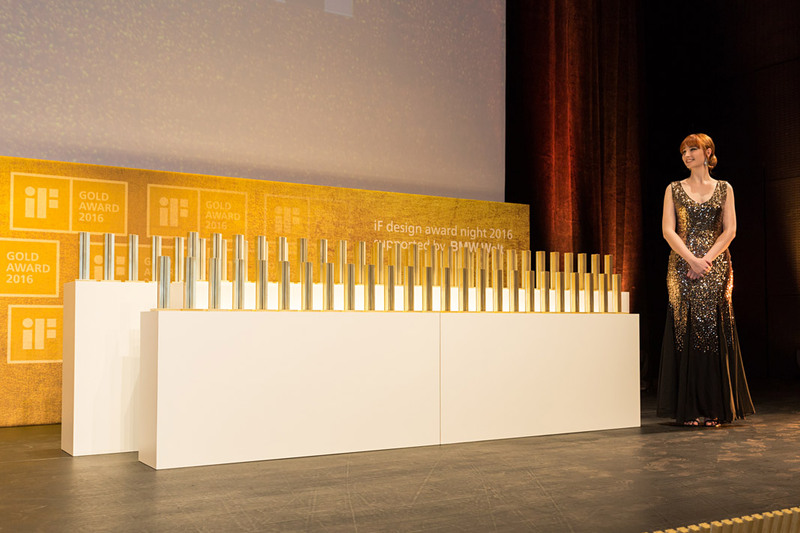 Winning one of the world’s most respected design prizes in Gold does not happen every day. 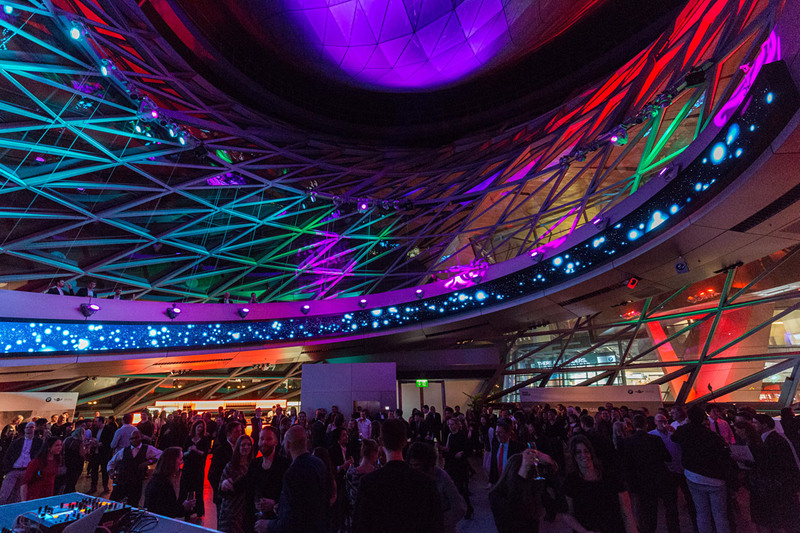 Impressions from the legendary iF Party Night at the Double Cone.